ABC has ordered spinoff 'The Conners' to series, starring everyone but Roseanne. Will wewe watch it without her? Do wewe agree with ABC's decision to cancel the onyesha due to Rosanne's racist tweet? juu 5 favourite characters: pick your favourite. Would wewe like a Roseanne movie? Roseanne did not science prove we are all descendants of a small group of humans in Africa. Yes they did, and it was wrong for them to cancel your show. Much upendo to you, stay strong. 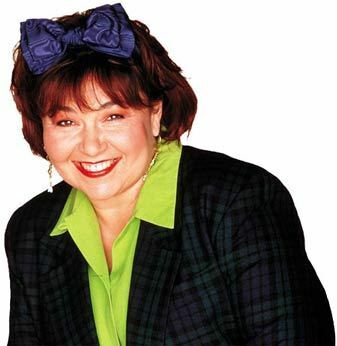 hujambo fellow Roseanne fans, I'm working on a documentary about Roseanne Barr and would upendo to hear from wewe if wewe have any footage of her on TV from the 1980s and 1990s. It can be on any format - yes even VHS. Two ABC executives told the Daily Mail last week that firing Barr "was a 'knee-jerk' reaction kwa ABC's president and admitted that temporarily suspending Barr may have been a wiser decision." Daily Wire, 14 OCT 2018.
a poll iliongezwa: Have wewe seen every episode of Roseanne?